Rather than blurt out that there were weeds in my dinner, I silently ate my salad, nodding vigorously when asked if my silage was satisfying. I have always been interested in wild plants. 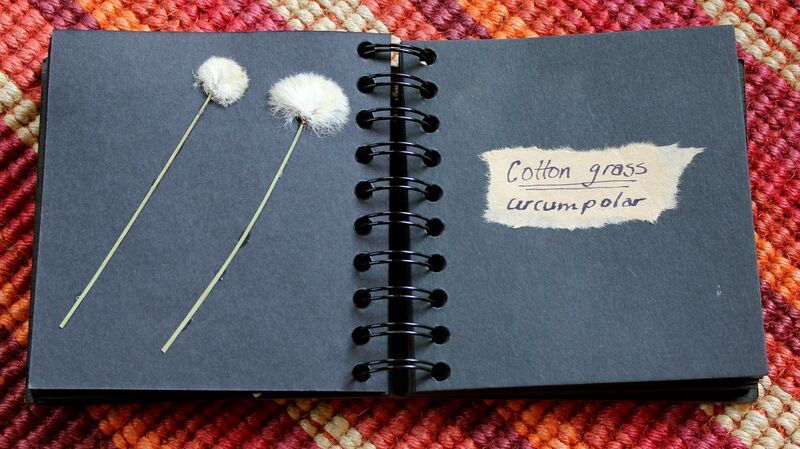 As a child, I would gather wild flowers and press them into a scrapbook (pictured below). In my later years, I would photograph wild flowers while on nature hikes with the intention of identifying them later and learning their names and uses. But once I returned home to the city, the pace of life was just too busy and as always, my study of wild plants fell to the wayside. Moving out here to Pigeon Lake ten months ago, I knew that the time was ripe to begin my natural studies on wild plants. I just never thought it would be the common dandelion that I would fall in love with first. Yes, you heard me: the dandelion! We don’t even think of dandelions as wild plants as they are everywhere; in every corner of our concrete cities as well as all over the the countryside. In my mind, wild plants were respected, sacred and noble plants with ancient and esoteric medicinal properties. To my uneducated mind, the dandelion was just a common weed (we can’t even say the word ‘weed’ without sneering) that everyone hated and were at constant war with, using all manner of cruel chemicals and sharp objects to remove these persistent pests from their yards and gardens. But I am finding out that the dandelion is noble. According to some herbalists, the dandelion is royalty in the herb world, earning its high respect from the fact that every part of this plant is not only edible and yummy, but is in fact very good for our health. 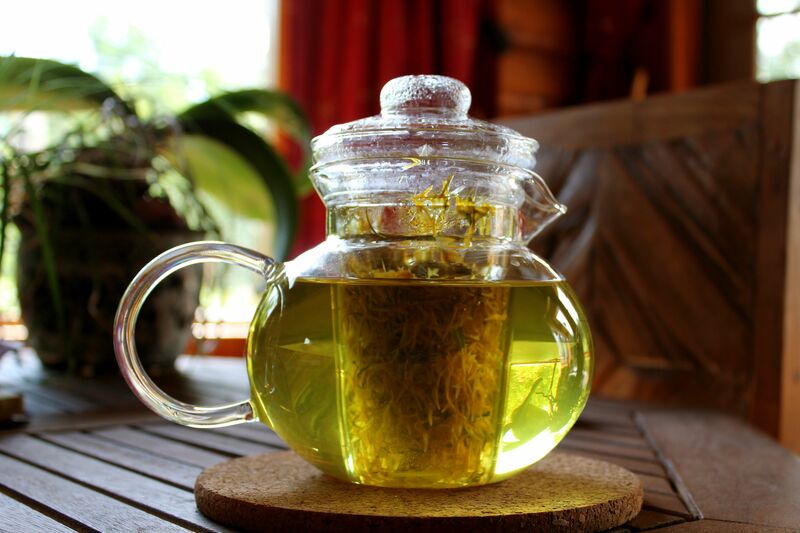 The yellow flower petals can be gently pulled off and steeped in boiling water to make a nutritious dandelion tea or an intoxicatingly delicious dandelion wine. The flowers contain vitamins A and B12 (riboflavin) as well as a compound called helenin, which helps those with night blindness. The leaves can be eaten fresh in salads (it tastes bitter, like arugula; balance this with a sweet dressing if you do not like bitter) or cooked and added to stir fries, soups and casseroles. You can juice the leaves, freeze the juice in ice cube trays (storing the cubes in ziplock freezer bags) and add to green smoothies all year round. Or you can make large batches of dandelion tea with flowers and leaves, allowing the mixture to boil down and become very concentrated. Strain then freeze the tea in ice cubes. Later, thaw a cube and add to a mug of hot water for dandelion tea in winter. The leaves contain bitter glycosides, carotenoids, terpenoids, choline, potassium salts, iron and other minerals, vitamins A, B, C and D. The leaves act as a detoxifying agent and therefore often used during cleanses. It is also used as a diuretic or to treat high blood pressure. 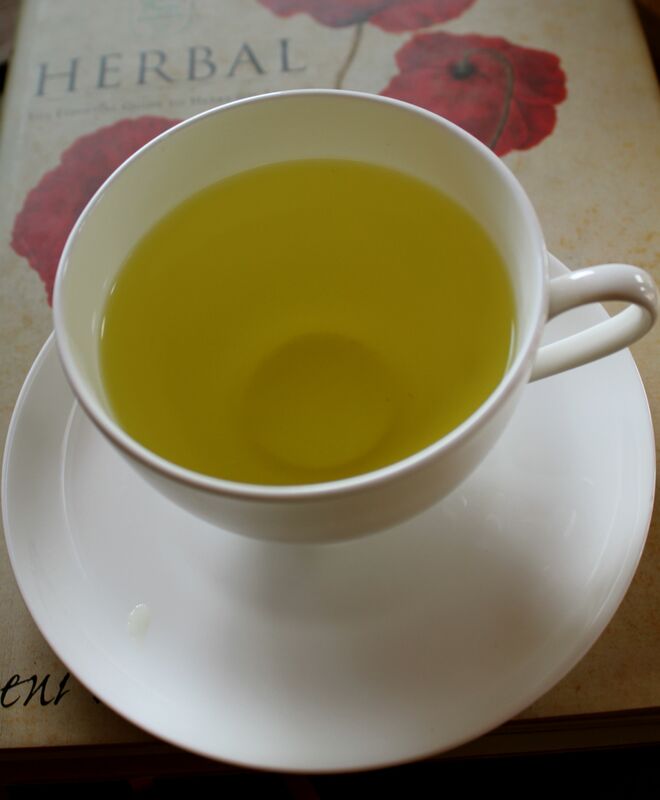 The leaves are very good for the liver and gallbladder, and stimulates the production of bile. The mighty dandelion root can be dried or roasted. It also can be added to stir fries, soups and casseroles. Many people grind up roasted dandelion root, adding it to hot water, and drinking it instead of coffee. It is supposed to be delicious and I am looking forward to harvesting some large dandelion roots soon and making my own. Dandelion root contains bitter glycosides, tannins, triterpenes, sterols, volatile oil, choline, asparagin and inulin. The root is used to treat infections, constipation, arthritis, gout, and skin problems, such as acne, eczema and psoriasis. Did you know that here in Canada, there are annual dandelion festivals? So far I have found Dandelion Festivals in Halifax (NS), Kemptville (ON) and Ottawa (ON). 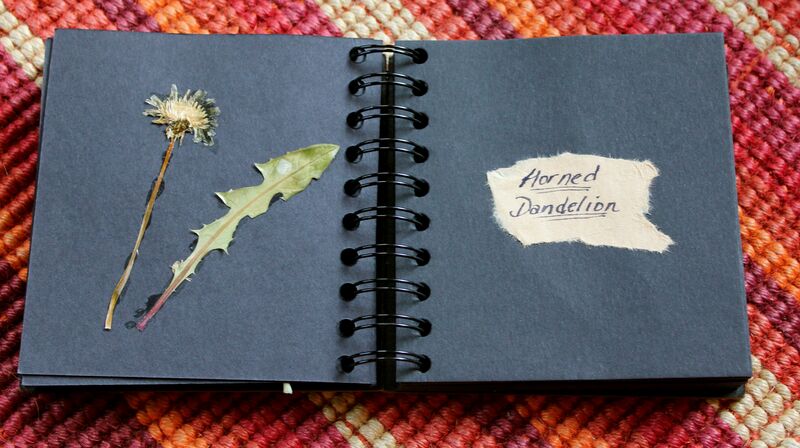 People come from far and wide to celebrate the dandelion and bring their recipes and sample each others’ dandelion culinary creations. 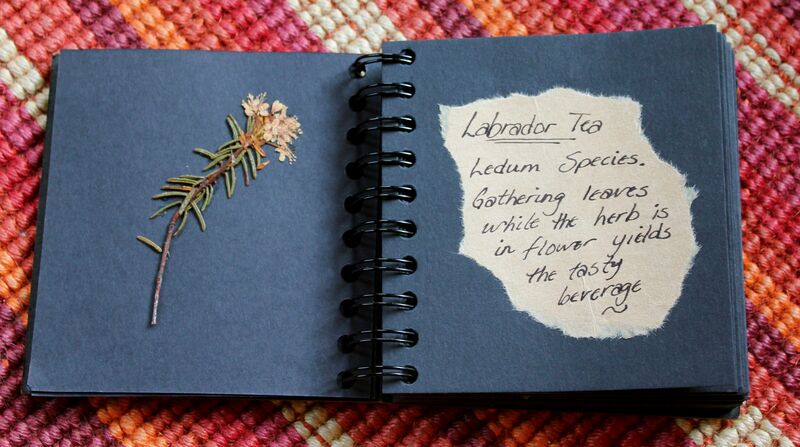 For example, you might sample some dandelion sausages, dandelion wines, different blends of dandelion teas, dandelion cakes, breads and pastries… Well, you get the idea. There is so much more that I am learning about the medicinal properties of dandelions (including in the prevention and fighting of cancer). I will write an in depth article very soon once I complete my research and post it here along with my resources for those of you that are interested. 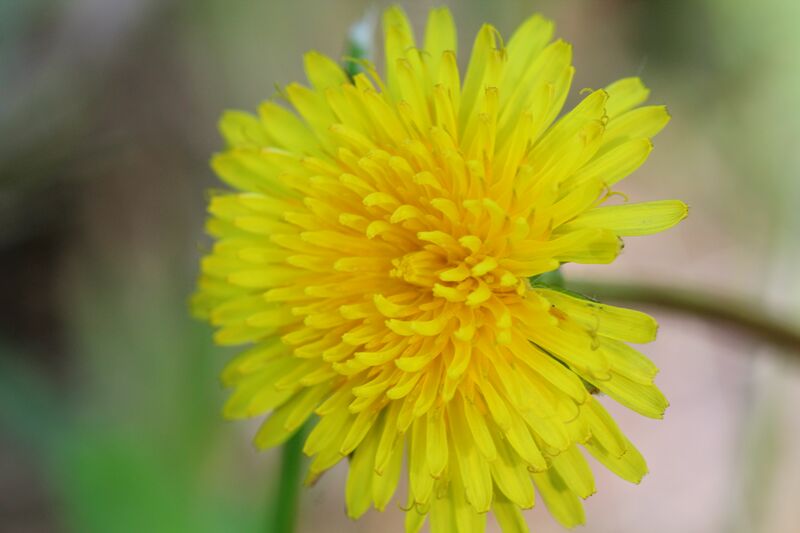 I am also putting together a little dandelion cookbook complete with nutritional information, medicinal properties, recipes and lots of beautiful photographs celebrating the beauty of the dandelion. I think I may also try to attend one of the dandelion festivals, perhaps next year. In the meantime, I simply wanted to try to win you over to the wild side and invite you to change your perspective on this lovely and noble little plant growing in your backyard. Public opinion on dandelions have been slowly changing. CBC did a piece on dandelions, and there is a hilarious and highly informative article in the National Post (quoted above). Not convinced? 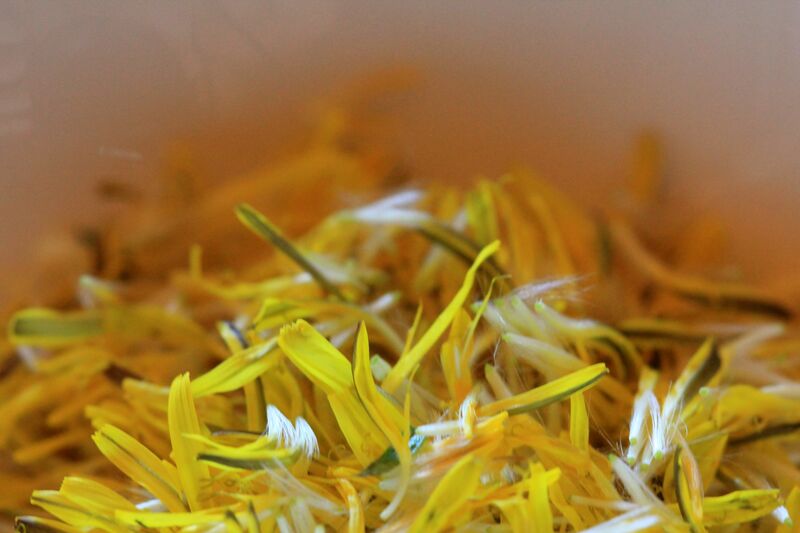 Why not try using some dandelion in a few of your own recipes? Remember to harvest the plants where there has not been any harmful chemical spraying (difficult in the city, I know!). You can also go to your local health food store and buy dried leaves or root. 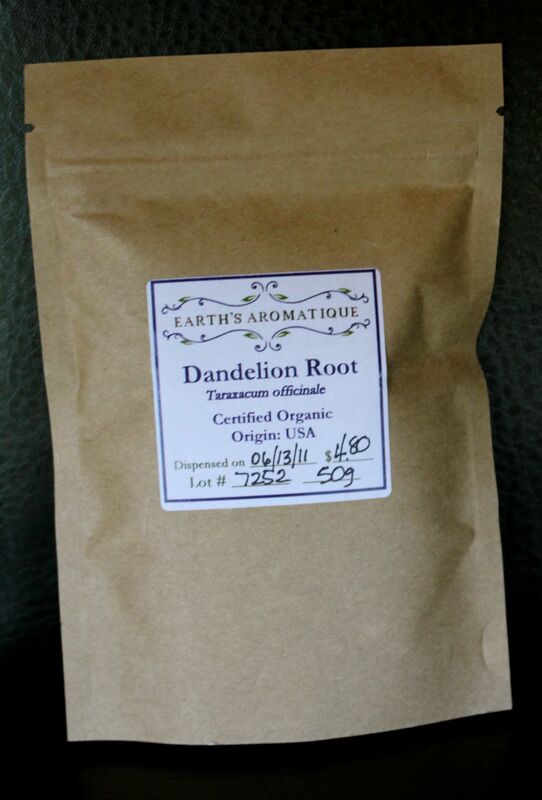 I recently bought this package of dandelion root from Earth’s Aromatique (located in Edmonton, AB) to experiment with while I prepared and dried my own. 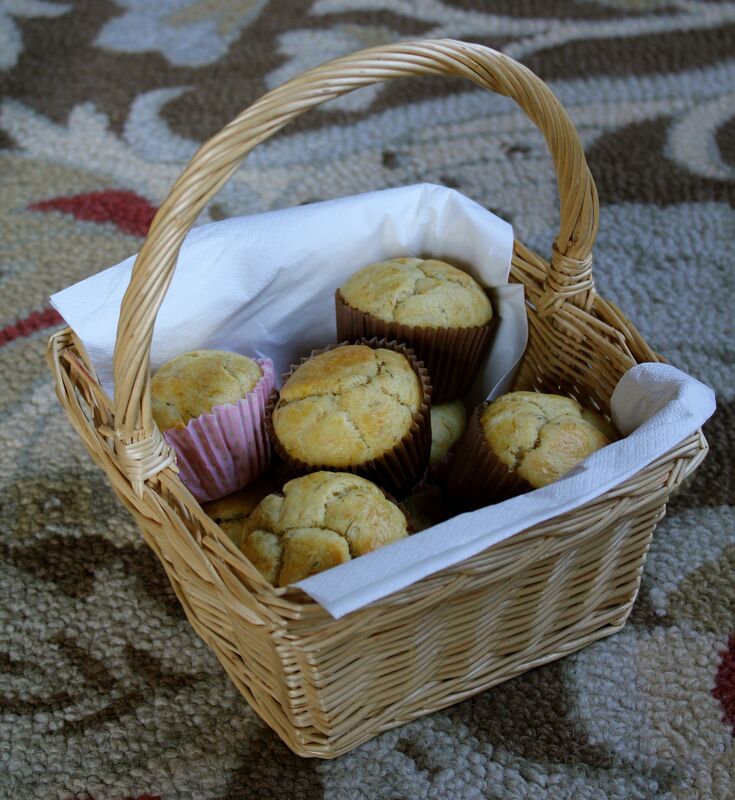 Last week, I made a batch of dandelion pancakes that were a hit with H. With the flower heads that I harvested this morning, I made Dandelion cupcakes. 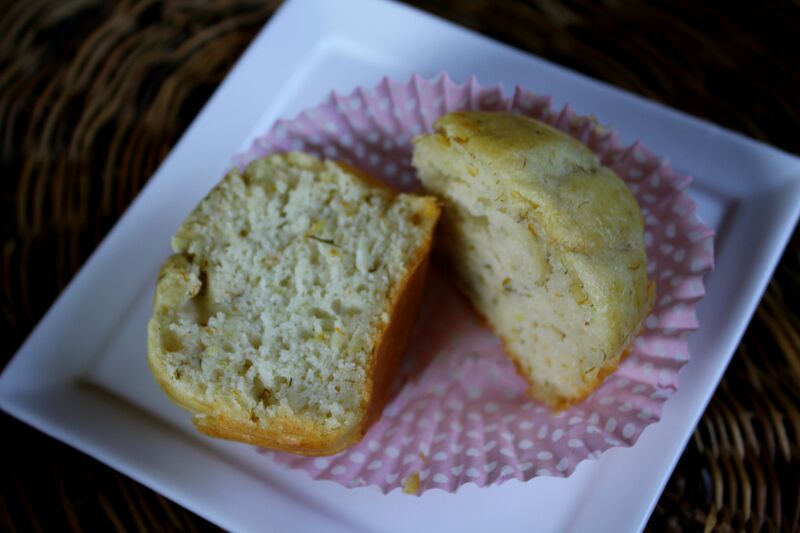 This was originally a recipe for white cupcakes that I adapted. Not too healthy, I admit, but a treat! By the way, this cake would be perfect at a child’s birthday party with a garden theme. You know the one I am talking about. The ‘dirt’ birthday cake topped with oreo cookie crumbs, cookie fence, marzipan vegetables and gummy worms hidden inside the cake layers. Heat oven to 350 degrees (F). Grease and flour a rectangular pan, 2 round pans or line a cupcake tin with paper baking cups. Beat all of the ingredients, except the egg whites in a large mixing bowl on low speed for about a minute. Scrape the sides and bottom of the bowl with spatula to make sure that all of the ingredients get incorporated. Add the egg whites one at a time, beating on high speed, again scraping the bowl. Pour mixture into pan. Bake rectangular pan for 4—45 minutes (9-inch rounds or cupcakes for 30-35 minutes) or until a toothpick inserted into the center comes out clean. Remove from oven and cool on a wire rack for 10 minutes before removing from pan to cool completely. Frost the cake with a creamy butter icing if desired. Garnish with a single dandelion flower or frosting and yellow sprinkles. Your photographic compositions are pure artistry! If we could all have that zest for life and resilience! Thank you for sharing! Dandelions are the flower that led me to an internship in herbal medicine. I have “converted” many friends from thinking of Miss Dandy as a weed to thinking of her as royalty. I love love love love her…and also, the latex in the stems is good for wart removal. Every part REALLY is useful. I am looking forward to learning much more about wild plants this coming season! saved as a favorite to see new information on your web site.